Magical Urban Fantasy Reads: Sign up for the Top 10 of 2015 plus AWESOME Giveaway! 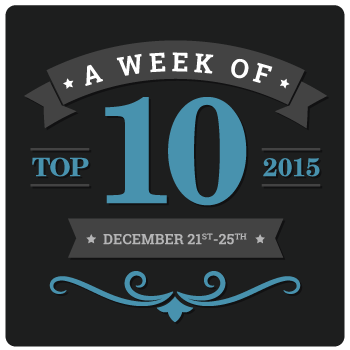 Sign up for the Top 10 of 2015 plus AWESOME Giveaway! WOW! Has the year flown by or what? I’m really looking forward to another fun filled week where we look back at some of the best of all things books of 2015 and what books we’re looking forward to in 2016. My totally awesome co-hosts from last year will be hosting again with me this year Jaime from Two Chicks on Books, Rachel from Fiktshun, and Nancy from Tales of a Ravenous Reader! We want to always include a special thanks to our original co-hosts Lisa from A Life Bound By Books and Jessica from Confessions of a Bookaholic who will not be hosting the event with us due to their busy lives. Hopefully they’ll be able to join us in 2016! This year we've added a giveaway for some highly anticipated 2016 ARC's for everyone who signs up to participate! 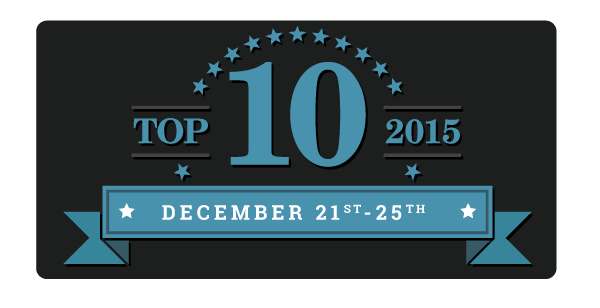 The Top 10 2015 event will run for five consecutive days on the last week of the year. We want to invite ALL of YOU to join in on the fun and share your lists with everyone too! Wednesday, December 23rd – Best ________ Of 2015 (Readers/Bloggers choice. Please fill in the blank and choose only ONE topic. Some examples include – Villains, Contemporaries, Dual POV’s, Novellas, Adult titles, New Adult titles, Love Triangles, Couples, Bad Boys or Debuts etc. Don’t forget to snag our button and to help spread the word for the event. We’d love to have anyone and everyone join us this year. The more the merrier! NOTE: this is the SAME Linky on each of the Co-Hosts Blogs. Please only enter your Name, Blog Name, and URL on one blog. Thanks! I think I'm most looking forward to posting the Top 10 Books I'm Looking Forward to in 2016.